Ayyanar Falls are located 14 km (8 miles) west of Rajapalayam town and municipality in Virudhunagar in the Indian State of Tamil Nadu. Ayyanar Falls are a part of the eastern slopes of the Western Ghats of the south. The source of water to these falls is the monsoon rains in the region. The water of the cascade is believed to be very pure and hence used by the nearby villages for drinking purpose. 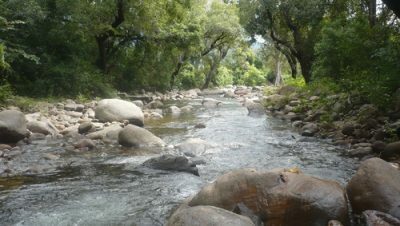 These waters are also used for irrigation in the surrounding areas, by the local farmers. 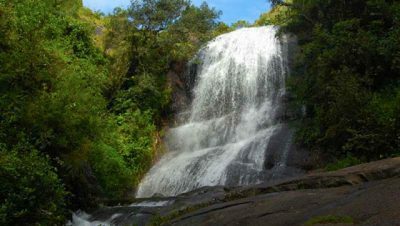 The area near the Ayyanar falls is ideal for woodland mountain climbing for the tourists. Tamil Nadu State Transport city bus available from Rajapalayam Bus Stand(old) to Ayyanar Falls(~14km).